July 5 in Albany, New York: Paul McCartney held his first concert after having been hospitalised in Tokyo in May. 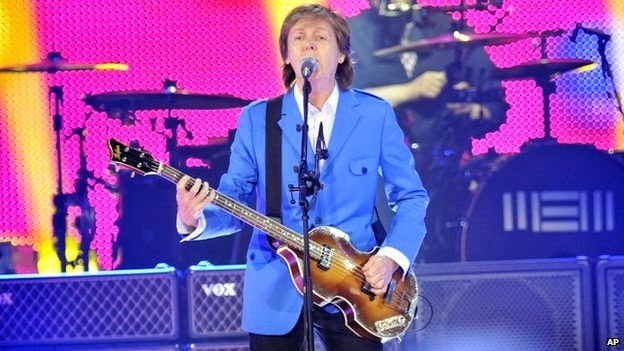 "It's great to be back," McCartney said, having turned 72 since his last concert. Looking good, McCartney held a concert which clocked in just under 3 hours and contained 37 songs, before finishing with the three song medley from the "Abbey Road" album. Newcomer to the set list was "On My Way To Work" from "New". The full show was captured in HD by a member of the audience: YouTube.